Yoast SEO is my favorite WordPress plugins. However, it’s not always used the right way so in this article I’m going to share the ideal settings you should be using and why! I’m the head of SEO of Foundr magazine and often many of my friends who are writers/business owners ask me how they can improve their SEO. If their site is on WordPress I recommend them starting off with the basic pointers that Yoast’s SEO plugin gives! This article is going to accompany my recommendation to all my friends and also you; my amazing readers. If you run a site on WordPress and are not using Yoast SEO Plugin you are missing out!! Everyone uses it from Brain Dean from Backlinko to Niel Patel and many big businesses like The Next Web and we use at Foundr too and by the end of this article, you will understand why. Ps. This was shocking to learn! NASA also recommends you use Yoast SEO!! If you like this article, give my article on How To Start A Blog And Make Money a look!! 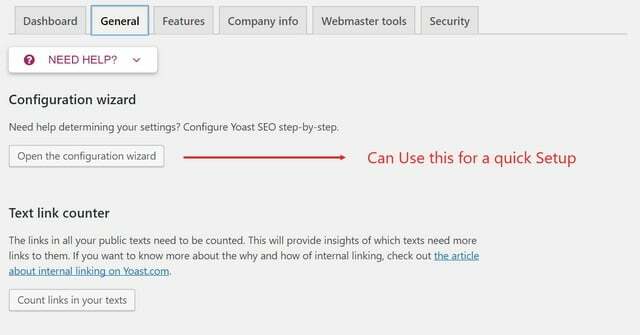 If you don’t have the Yoast SEO plugin go to your plugins tab in WordPress -> Click on Add New -> Type “Yoast SEO” in the search bar -> Click Install and once installed activate the plugin. If you already have the plugin kindly update it as I’ll be using the latest version of the plugin and this article will be updated every time there is a major update to the plugin. Write custom titles for all of your posts and optimize them for SEO and for CTR. Meta robots “Index” – Whether you want your site to show up in search engines or not. You want all your blog posts to index however you don’t want standalone media or links to be indexed. You can individually de-index each post as well in the Yoast box below each post. Date in Snippet Preview – You want your date to show up in the search results as it increases the odds of people clicking through. If you are indexing Categories be sure to add content specific for each category and don’t leave it just as a list of posts. Tags are great for user interaction but terrible for SEO so don’t index them. If you have multiple authors on your site, keep the author archives enabled else disable it. Don’t index data or author archives as it’ll show up as duplicate content which is a big SEO no-no. Noindex subpages – To stop secondary pages that show up when you click on a “next” button from indexing. Google doesn’t use meta keywords anymore and it can hurt your rankings if you use them, so don’t waste your time. 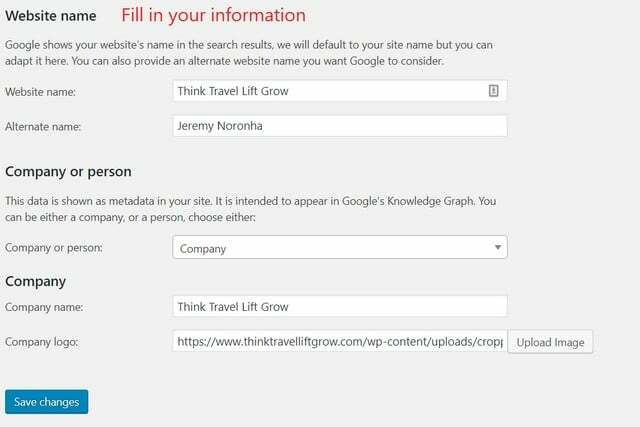 Add your social media Url’s so that Google knows your social media profiles. Also, it adds open Graph Data to your site. This also helps social media site like Facebook, Twitter and Google attribute the content to the right profile on their network. Enable Open Graph data so that you can add specific images and titles to your Facebook and Twitter posts. You can use this setting to verify your Pinterest accounts so you can use Rich Pins. One of the greatest thing about the Yoast SEO plugin is the fact that it automatically generates a sitemap for your site so you don’t have to use another plugin for that. Well, a sitemap is basically a page on your site like this that you submit to search engines ie Google that lets them find the content on your site easier and it lets them index your content quicker. How to submit your sitemap to Google? You only have to do this once as your sitemap will automatically get updated with new posts and Google will automatically get the new sitemap. If you have multiple writers on your site and you want their individual pages to show up enable this. You definitely want your posts and pages in the sitemap, you don’t want your media unless you are indexing them. If you are indexing categories or tags add them to the sitemap else leave them out. Read the “Title & Meta” section regarding this. Breadcrumbs are a navigational feature that is a plus when it comes to SEO as it helps in your site structure, however, I personally don’t like the way it looks. “Blog Name >> Category >> Post name” is the most popular structure. You can choose to enable them however I don’t personally like the way it looks hence I don’t use them. Remove /Category/ – You want your page’s URL to be as short as possible hence removing the category from the URL is an SEO plus. Redirect Attachments – Instead of treating images as a different page, you can redirect them to the blog post that you attached them to. This help keeps your site tight and only index the page and not the page and images separately. Stop words in Slugs – Do this manually for each post as it’s useful to have stop words at times. The bulk editor lets you edit the title tags and meta descriptions of all your blog posts without having to go each of them individually. File Editor – The file editors lets you edit the robots.txt and .htaccess files on your site if they exist. If you go to the import section you can import Yoast settings from a zip file. You can find a zip file for all the settings mentioned in this post by clicking here. You can use the Export functionality to export your settings if you are moving sites or if you want to share your settings with other people like how I did above. If you’ve been using other SEO plugins on your site before using Yoast (glad to see that you’ve turned to the light side of the force), you can use the import from other plugins to get all your data from the other plugin. You can authorize your Yoast’s plugin with Search Console to directly get the crawling errors in your WordPress Dashboard. Yoast SEO Premium costs $69/year and I personally use it for a few sites. I’m currently not using it for this site as I don’t need the additional features. It includes a redirect manager (so you don’t have to use a separate plugin for that) also you can set and optimize multiple focus keywords in a single post. Other features include social previews ie you can see how your post will look on social media and also you get support from the Yoast team. The Accelerated Mobile Pages (AMP) Project is an open source initiative that makes it easy for publishers to create mobile-friendly content once and have it load instantly everywhere. Basically, Google has been pushing AMP pages as it loads faster on mobile. If errors pop up, you will see them in the Search Appearance >> AMP pages in Webmaster Console. 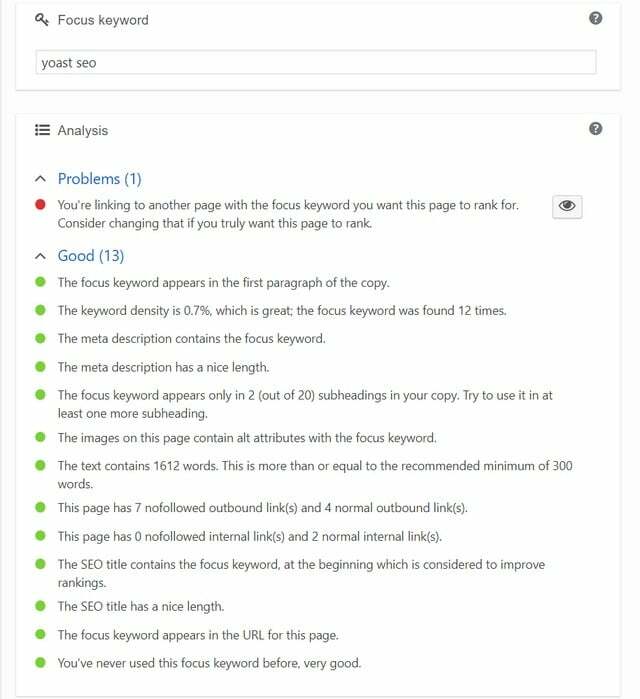 When a person new to SEO gets the Yoast Seo Plugin they usually always start off by optimizing their posts however they never really configure the plugin the right way. Follow the guide above to set up the plugin right before Optimizing your posts. I’ll be writing an article on keyword research in the future, however, in the meantime check out Brain Dean’s article on it, it’s the best resource on it. Now let’s talk about optimizing your post using Yoast’s SEO plugin and talk about Yoast’s Green Light Optimization. 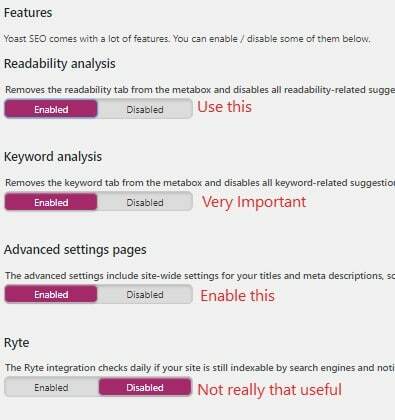 If you have used the Yoast SEO Plugin before than this will seem pretty standard to you; however, for those who haven’t, this is the Yoast box below every post. Once you pick your focus keyword you will be given suggestions to implement in your content. They are 2 boxes, one for SEO and one for readability that has their own tips and recommendations. Most of them are pretty straightforward, however, I’ll break down each in this guide and explain why you should use them. The focus keyword appears in the first paragraph of the copy – Not really that important! 1) Yoast only takes the exact match keyword into consideration. eg If I use “Yoast SEO plugin” as the keyword and then use only “Yoast SEO” in the article, it doesn’t get counted. 2) It’s not just having your keyword in the article anymore, you need to have words related to the topic along with synonyms and Latent Semantic Indexing text. LSI keywords not only help in making the content more conversational but it also helps Google understand your page better. Meta Description – Always make sure that your meta description is the right length else it will get cut off in search results. Meta Description Keyword – Having your focus keyword in the meta description gives very little SEO benefits so I don’t bother much with it. I use the meta description to convey a good USP (unique selling proposition) to entice my readers to click on my result over the others. Keyword in Heading – It helps if you have your focus keyword in a heading, however, don’t do it if it feels out of place. You need to write content for People first and then Google and not the other way around. Alt tags – Use the alt tags to better describe and explain your images. 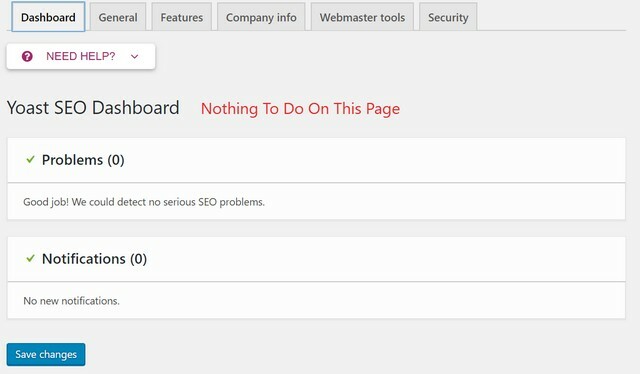 eg “This is the dashboard of the Yoast SEO plugin” is a good alt text that includes the keyword but is still natural. Article length – In the SEO world, longer is almost always better, however, don’t give up on quality just to write longer content, focus on quality first and then quantity. Most of my articles tend to be 1500-2000 words and some articles like “How To Start A Blog And Make Money” are over 6000 words. SEO Title – Always make sure that your SEO title is the right length else it will get cut off in search results. Use your title as a means of explains what the article is. SEO Title Keyword – Having a keyword in the SEO title especially at the start of it is a huge +ve when it comes to SEO, however, don’t do it if it doesn’t look natural. 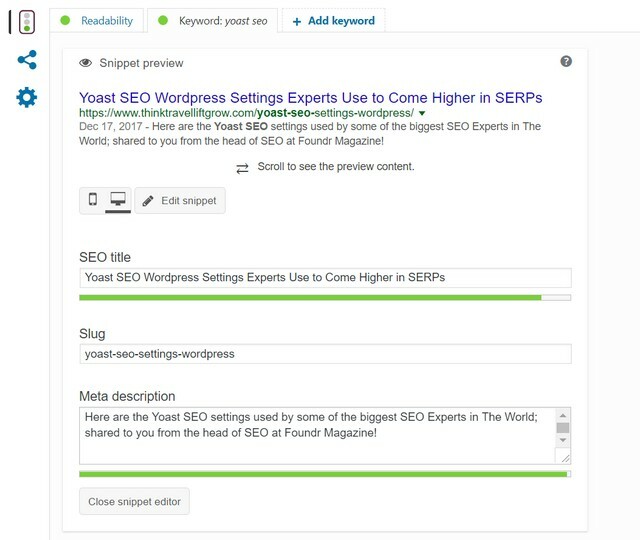 Have You Installed Yoast’s SEO plugin yet? Using WordPress and Want a Quick Bonus Hack To Boost Your SEO? 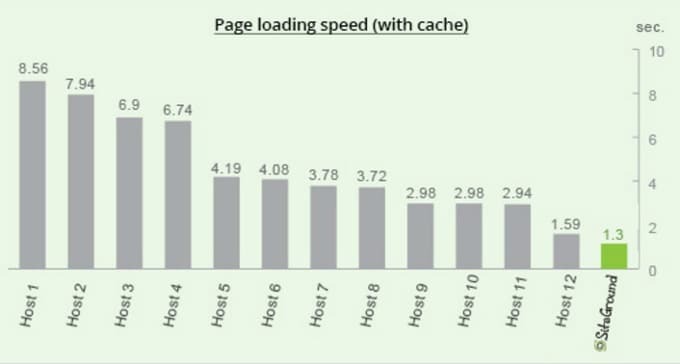 Fast WordPress Hosting: Google like’s fast sites so I’m always trying ways to make my site load faster. One of the most important fundamentals of having a fast website is to have a good WordPress host. I use SiteGround for this blog and they are the only host recommend by all 3 WordPress, Joomla, and Drupal on their official hosting pages! SiteGround has 3 different plans which cater to different needs. 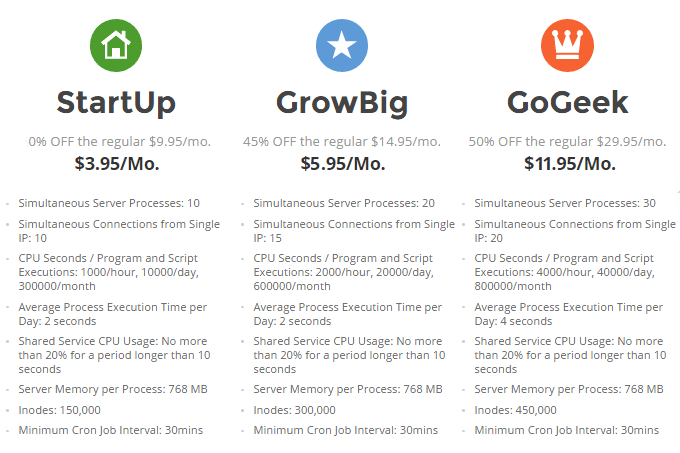 I personally use the GrowBig Plan and it was amazing bang for the buck as for 5.95$ a month I can host unlimited websites. Speed is very important to me, very important! I always try and make sure that my blog is as fast as possible and having a good host is crucial in that equation. 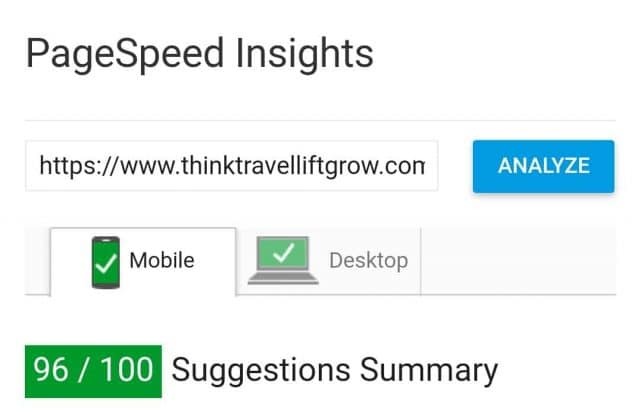 As you can see from the picture above, this site now loads in <1s in Pingdom and from the image above the Google PageSpeed Insight score of this site is above 90 out of 100, while most blogs in my niche are usually below 70. The average load time on SiteGround is 1.3 seconds which is miles ahead of the other hosts at the same price! 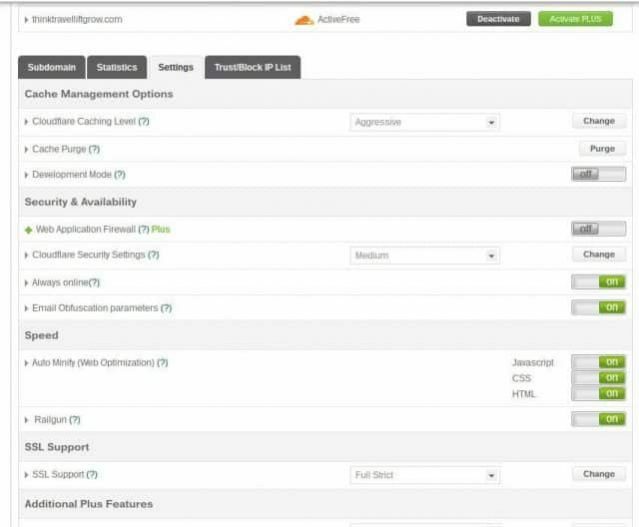 One-Click Free CloudFlare CDN: You can boost security and speed by enabling CloudFlare in a single click in SiteGround. Also, a quick tip would be to tweak the settings to match the picture above to make your site even faster! !